Teradata recently held its annual Partners conference, at which gather several thousand customers and partners from around the world. This was the first Partners event since Vic Lund was appointed president and CEO in May. Year on year, Teradata’s revenues are down about 5 percent, which likely prompted some changes at the company. 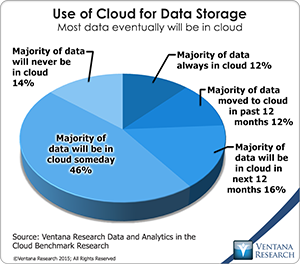 Over the past few years Teradata made several technology acquisitions and perhaps spread its resources too thin. At the event, Lund committed the company to a focus on customers, which was a significant part of Teradata’s success in the past. This commitment was well received by customers I spoke with at the event. 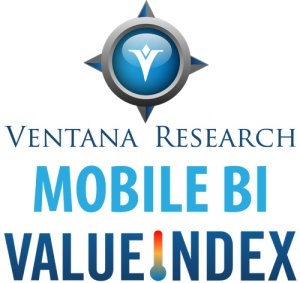 Ventana Research has newly published its Mobile Analytics and Business Intelligence 2016 Value Index. The Value Index provides a comprehensive evaluation of vendors and their product offerings across seven categories. In performing that analysis, I realized that this software category is at a crossroads. Once an optional capability often reserved for executives, mobile analytics is becoming a requirement of business users across organizations. The blurring of lines between work and personal lives has provoked a change from single device BI to BI on multiple devices including smartphones and tablets as well as laptops and desktops. From a platform standpoint, the adoption of HTML5 is contesting the prevalence of native mobile applications.